DJ Xclusive has jumped on the bandwagon of DJ's that are putting out hit songs. 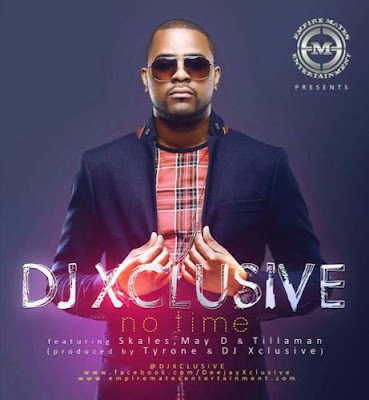 'No Time' features Skales, May D and Tillaman on this new track that he produced alongside producer - Tyrone. This song is full of life and is so upbeat, I can see it getting major plays in the clubs and on the radio.